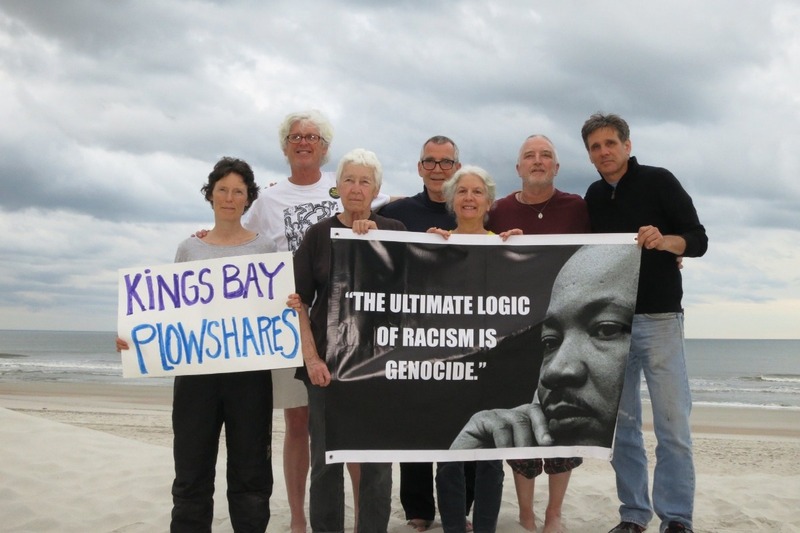 Our friends, the Kings Bay Plowshares, have undertaken a courageous action for a nuclear weapons free world. We are raising money to support them and work for nuclear disarmament. We want to be able to support family and supporter travel expenses, provide commissary, and plan public events to support nuclear disarmament. Those of us organizing this fundraising effort are Jessica Stewart, Bass Harbor Maine, Paul Magno, Washington DC, and Beth Brockman, Durham, NC. All money will be used to support organizing for nuclear disarmament and support of the Kings Bay plowshares. Friends, with trial preparation needs mounting, we need to raise money for housing for defendants and supporters, travel expenses for defendants, attorneys, and expert witnesses and local organizing. Please give what you can! of the Kings Bay Plowahares, except Steve Kelly SJ. We need to raise $5,000 each to bond them out! Please help if you can.